Please click on the buttons of the map to get more information. Here you can see the very famous pyramids of Egypt! 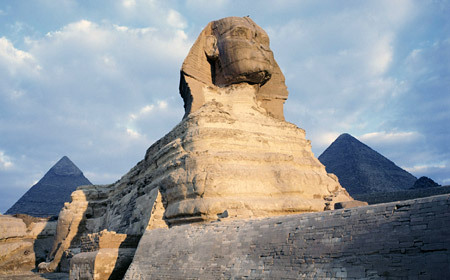 The three pyramids, Cheops, Chefren and Mykerinos belong to the oldest and most famous buildings all over the world. You did not see Egypt, if you have not visited the pyramids.